Wilson Contracting Company was founded in 1955 by Bill Wilson. We have been providing excavation contracting and septic services to residents of Sussex and Morris County NJ for over 60 years. In 1972 Redi Rental Corporation was founded to provide portable restroom rental service to customers throughout the tri-state area. In 1981, Dan Wilson entered the business as Vice President. Dan focused his efforts for 25 years on Rent-A-John, a division of Redi-Rental Corp, growing the division into a large operation that merged with a competitor, Johnny-on-the-Spot, in 2006. Since 2006 Dan has focused on growing the septic servicing and repair division of Redi-Rental Corp, building on our long time reputation for high quality and outstanding service. In 2012 Wilson Contracting Company and Redi-Rental Corp merged and became Wm. 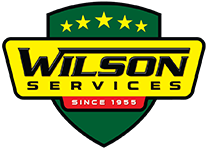 H. Wilson Enterprises, with Dan Wilson as president, continuing to provide the same quality services in a more streamlined manner. In 2017, Eric Wilson joined the company as Vice President. Eric graduated from the New Jersey Institute of Technology in 2011 with a BS in Civil Engineering, and obtained his Professional Engineering license in NJ in 2014. Eric worked as a consultant for the New Jersey Turnpike Authority focused on bridge reconstruction projects, and for Dynamic Engineering, a land development firm, prior to joining Wm. H. Wilson Enterprises. Also in 2017, Wilson Engineering, PLLC was founded as a sister company to provide our customers with a one stop shop for septic system installations and repairs. We provide our customers with all the services they need to maintain, repair, and construct septic systems.